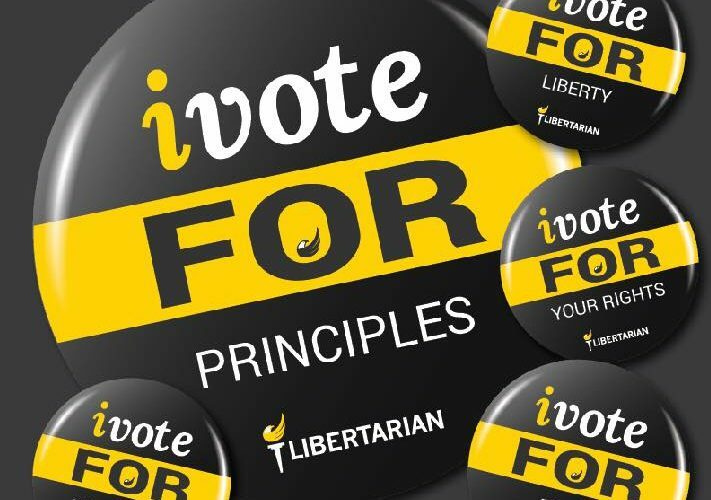 Don’t forget to vote Libertarian in the general election on Tuesday, November 6! 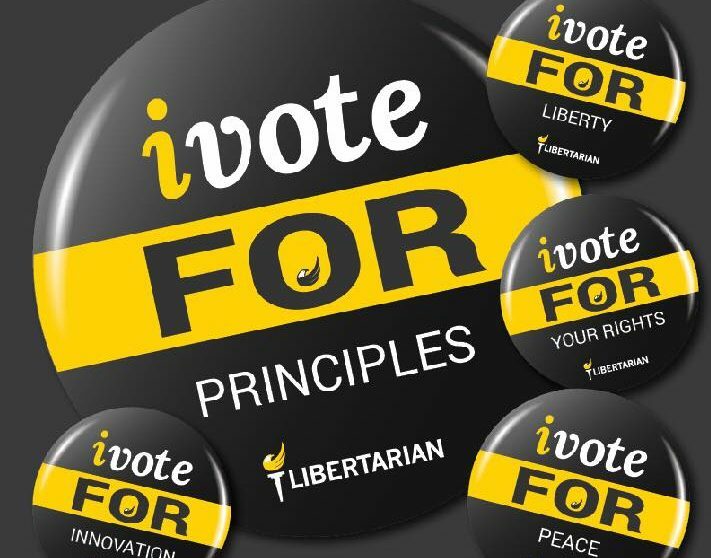 To support Libertarian candidates who advocate freedom and responsibility. 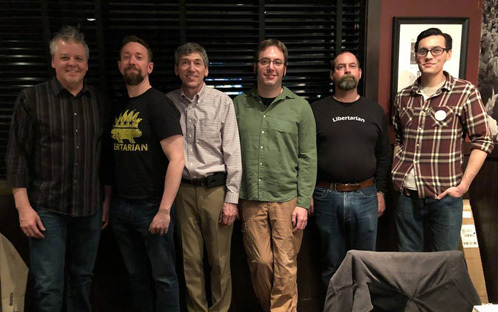 To see a list of Libertarian Party of Michigan candidates and their contact information, click here. 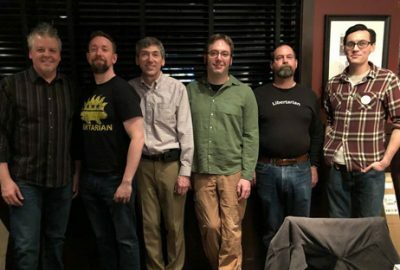 To show support for the Libertarian Promise to Michigan made by those candidates. Check out the Promise by clicking here. To give Libertarian Governor and Lieutenant Governor candidates BILL GELINEAU and ANGELIQUE CHAISER THOMAS the vote total they need to retain the Libertarian Party of Michigan’s primary party status. That’s never been done by a Governor ticket other than the Republicans and Democrats since the current election law took effect more 80 years ago. Bill and Angelique need to garner votes equal to at least 5% of the votes that will be cast for all the Secretary of State candidates in the November 6 election. To learn more about their campaign click here. To vote on the three statewide proposals. Proposal 1 for marijuana legalization fell 2 votes short of the two-thirds majority required for endorsement at the 2017 Libertarian Party of Michigan state convention. 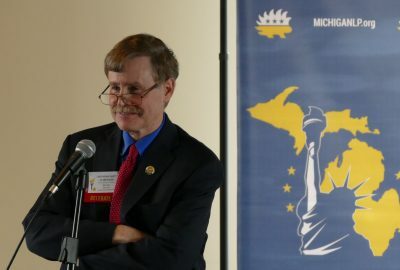 The delegates to the 2018 Libertarian Party of Michigan voted to oppose Proposal 2, which would change the way gerrymandering is done by making sure only two “major parties” and the Secretary of State control the process. Proposal 3 to reinstitute straight ticket voting would hurt the ability of Libertarian, independent and third party candidates to gain votes. For more information on the Libertarian views on these proposals, click here. To support the Libertarian Party of Michigan nominee in the nonpartisan election for Michigan Supreme Court, KERRY LEE MORGAN. Note that the word “Libertarian” will not appear by his name on your ballot. Remember – straight ticket voting doesn’t apply in this election. You must individually mark each candidate on your ballot. Polls are open from 7 a.m. to 8 p.m. on Tuesday, November 6, 2018. Check out your sample ballot and find your polling place by clicking here. Don’t blow this chance to send a message that it is no longer “politics as usual.” There is a real choice. 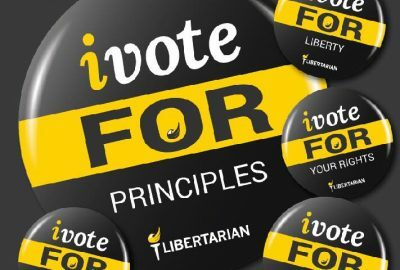 Vote Libertarian on November 6! 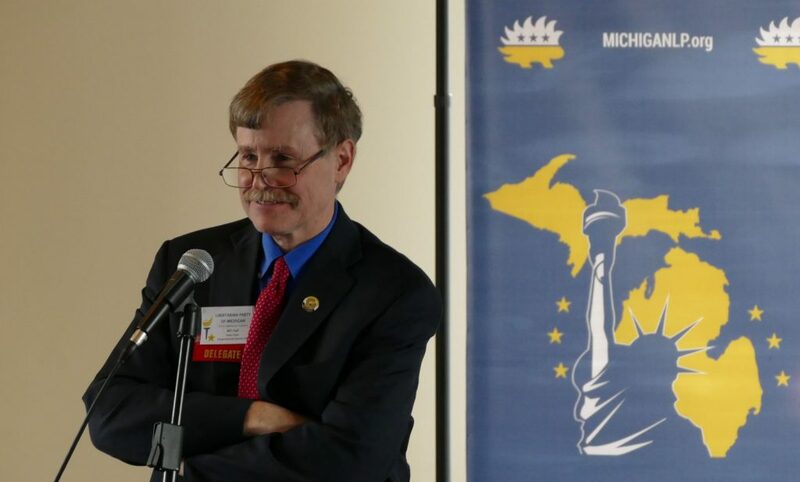 Five links that demonstrate conclusively that the only intelligent vote for Michigan governor is Bill Gelineau, Libertarian. Please kick what you can into the kitty and vote for Bill, secure major party ballot status for 2020. • Last push! Donation button. From my own 50 year background in Libertarian politics, Bill Gelineau is simply the best overall candidate for ANY office who has run for any public office—certainly a major office like governor—for that entire period. A video of Bill Gelineau responding in real time to the WOOD Schuette-Whitmer debate.